People no longer need to sit in front of their desktops or laptops to use internet. Alternate internet-enabled devices such as smartphones and tablets are now being increasingly used for web surfing. Website designers are compelled to come up with responsive websites that can be flawlessly viewed across devices as well as browsers. 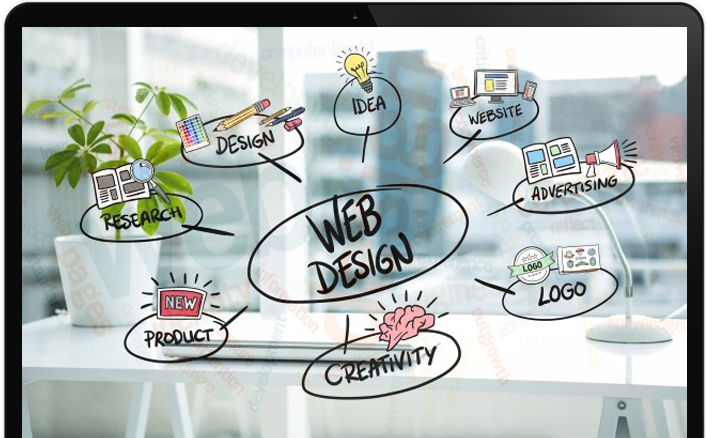 While ensuring a multi-device experience, our designers make sure your website is laced with all the advanced features that comes with HTML5 technology. For instance, offline plays and local storage is easy with HTML5. Besides, app development is more advanced with HTML5 and therefore you can expect better and more interactive websites. Saves costs : You do away with the need of creating two websites, one for desktops and other for mobile devices. This helps you save cost on creating and maintaining two separate websites. And, as there are no separate URLs for same content, the problem of duplicate content is avoided. Latest Google algorithm changes overtly favours websites that gives mobile users a great web browsing experience. This means, if you go for a responsive website, your website is going to rank higher on Google search results and this definitely helps increase the number of visitors on your website. More business : It is a fact that more people are using their handheld devices for internet viewing. So, if a user is not happy viewing your website over his smartphone, he is more likely to turn to your competitor who is offering a seamless viewing experience over a smartphone. To retain and get more customers, you must therefore go for a responsive website. If you feel your current website is not smart enough for use by smartphone users, it is time you go keep pace with the times and give your website a responsive advantage. Email us or give a call and we shall create a website that aptly matches your needs.